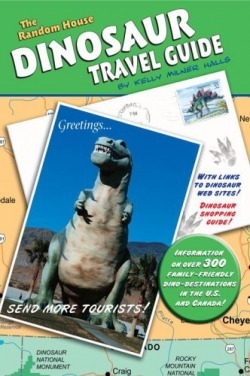 With Kelly's new book you are ready to hit the road and travel to the many dino-destinations featured in this Dinosaur Travel Guide. From world- renowned paleontological museum collections to theme parks to roadside attractions, there's something for everyone — everywhere! — in this easy to use state-by-state guidebook. The handy guide includes listings of over 300 locations in the U.S. and Canada, Luis Rey's cool graphics, a guide to shopping for all things dinosaur related, including a very nice write-up on Prehistoric Times magazine, thank you Kelly — plus a whole lot more! Kelly did a similar book to this a few years back but this one is more for the kids. Of course I love all of Luis' art inside but I only wish it included a few photos of the location it describes as well. 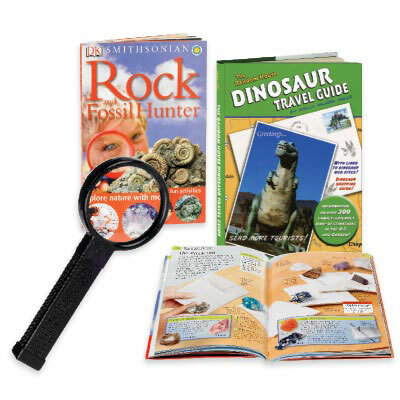 For a time, the Random House Dinosaur Travel Guide (above) was offered with this geology book and magnifying glass. 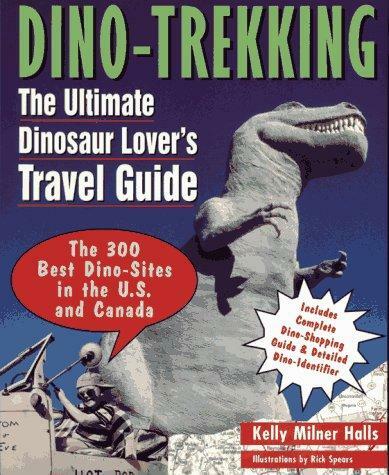 Before Random House published the Dinosaur Travel Guide, Wiley published Dino-Trekking.